What better way to spend your summer months than with the family, pool side, at Orchard Ridge Country Club? 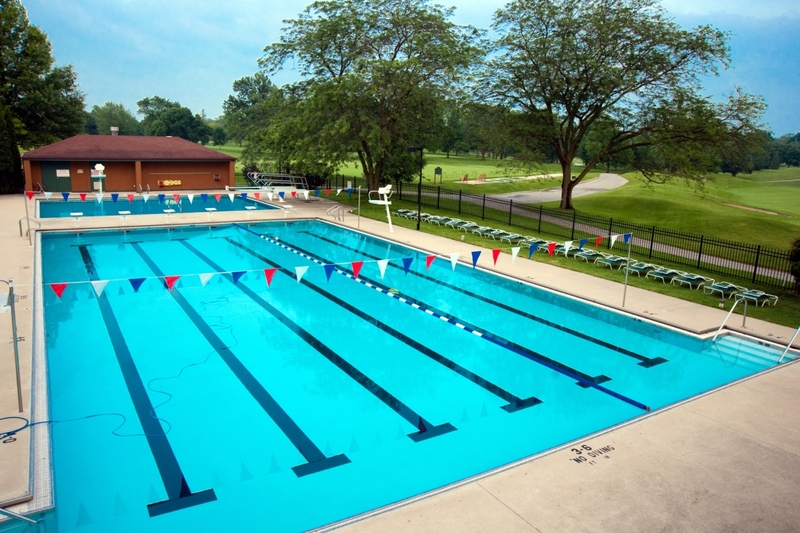 The Club's outdoor swimming facilities were originally installed in 1955. They were completely replaced in 1988 with a 25 meter 6 lane competition pool, a special diving pool with 2 one-meter diving boards, and a wading pool for children under the age of six. There is a small playground area next to the wading pool for the younger children. The pool area is constantly supervised by certified lifeguards to assure the safety of the Club's members. In addition to overseeing the pool area, the lifeguards also instruct private lessons, group lessons, and diving classes. Chaise lounge and deck chairs surround the swimming pool for those wishing to watch and relax in the sun. The Snack Bar and restroom facilities are conveniently located near the pool area. Interested in a pool party? Our Special Events Director and Outdoor Activities Director are always available to help you plan the perfect pool side party. *Pool closes for Home Swim Meets at 4:00 pm. Baby pool open during morning swim & dive practices.